another saturday morning spent wandering a melbourne farmers market. this time gleadall st in richmond, which this particular weekend was bursting with an abundance of beautiful blooms and berries… gosh i love spring! 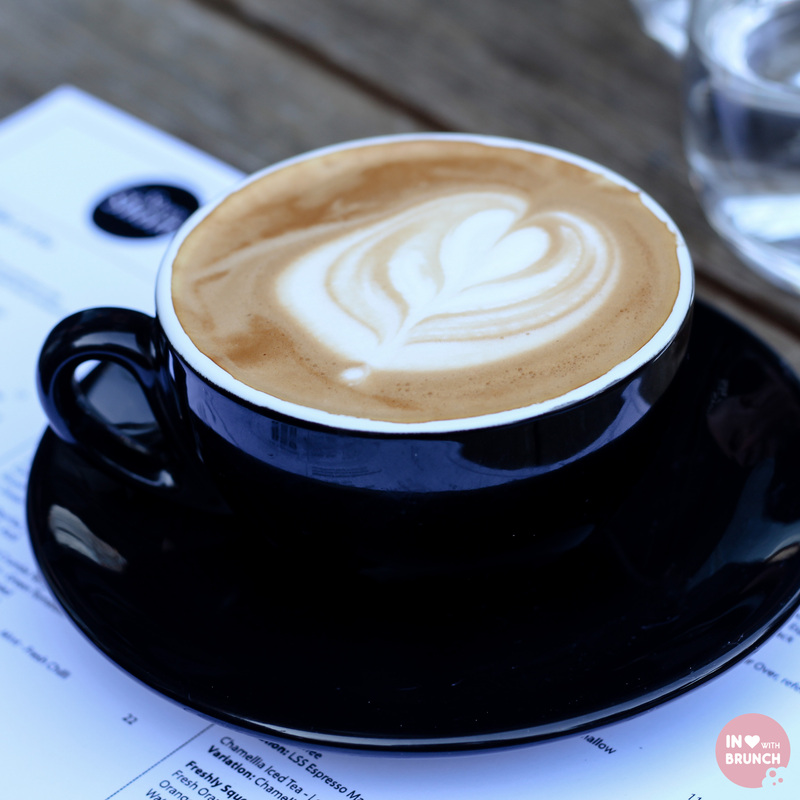 our market wandering was followed by brunch with friends at the fairly new ‘long story short’ on coppin st. i say ‘fairly new’ because the cafe’s journey to existence has quite a tale to tell. something along the lines of 1. long-time owners of zaza’s italian restaurant sold up… 2. new owners didn’t last the distance… 3. sold restaurant back to previous-said owners. so… to cut a ‘long story short’ (boom boom) the cafe has been given revolutionary second life and is back with a vengeance. as to be expected, the choice of coffee is well known melbourne-local proud mary‘s ‘eagle vision’. a brazilian / el salvadorian coffee this was a very chocolaty blend with hints of hazelnut. flat whites and cappuccino’s all round were delicious. 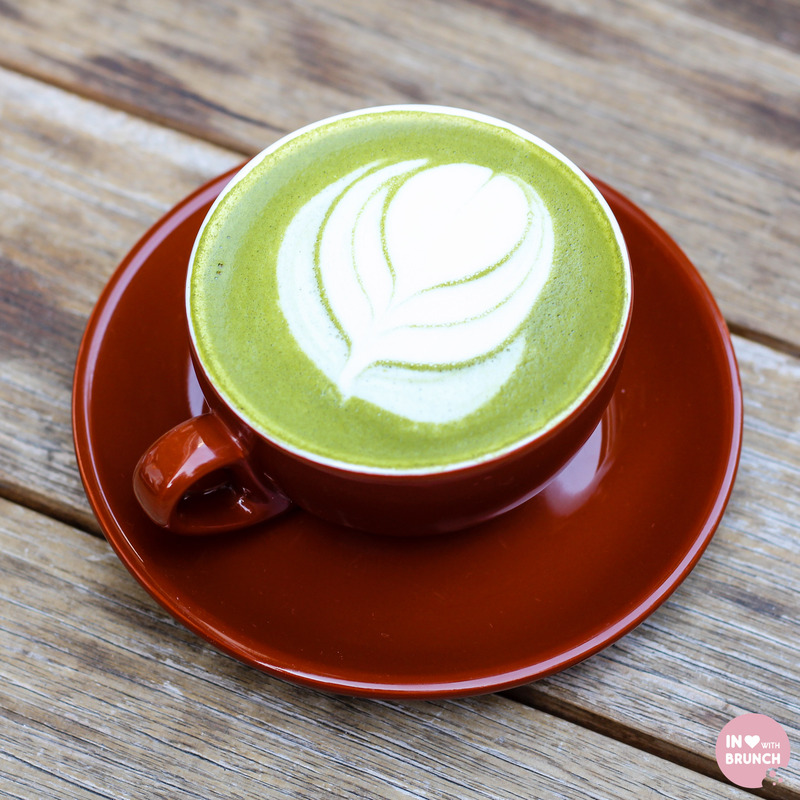 a couple of the ladies’ at our table opted for ‘hero of health’ matcha maiden lattes and loved them. i’m still not 100% convinced about the flavour, so think i’m going to try a few more of these before i make a decision… jury is out for now. 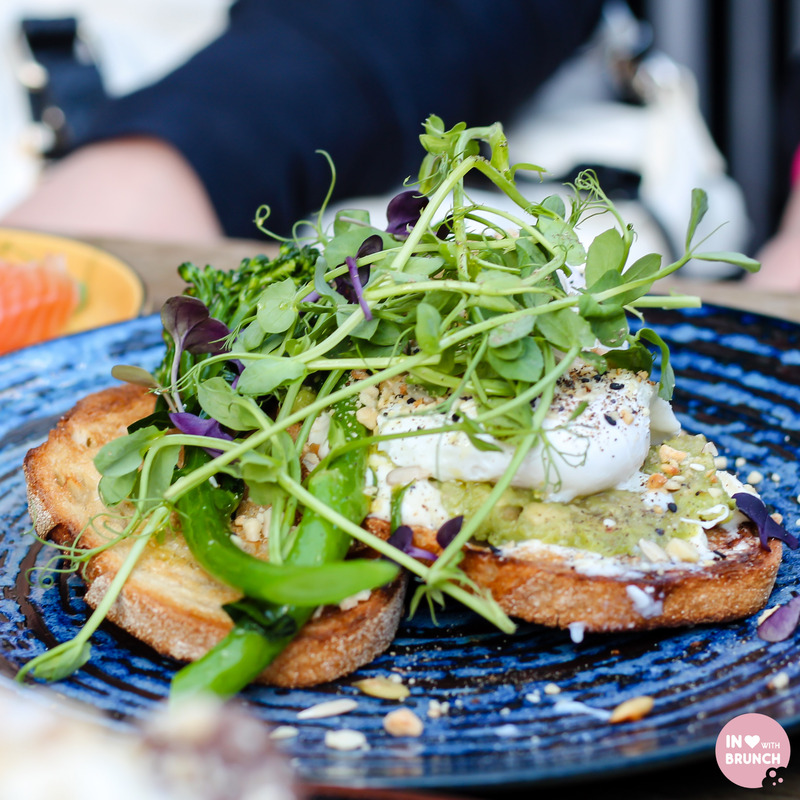 the eggs were poached well and the foundations of the dish – fresh avocado, a strong-flavoured goats cheese and the seeds + almonds – made for a tasty avo smash. add in the green, crispy, healthy broccolini, a pile of watercress + the good fats of the salmon; and i’m feeling so healthy all thoughts of a run today have disappeared! unfortunately these did not live up to expectations. the poachies were overdone and the bacon was not liked by the men at our table (there’s just something about good bacon that get’s the tick of approval from a guy). the toast was too hard and almost impossible to cut through. sadly, a miss. not to fear… sub-par bae were quickly forgotten (as were the healthy feelings from broccolini) as soon as this tower of buttermilk pancakes arrived. i was recently lucky enough to try a range of pepe saya’s products and they are now my go-to butter product that i’m using (and paying for!) at home, and their buttermilk made the fluffiest pancakes i’ve ever cooked. 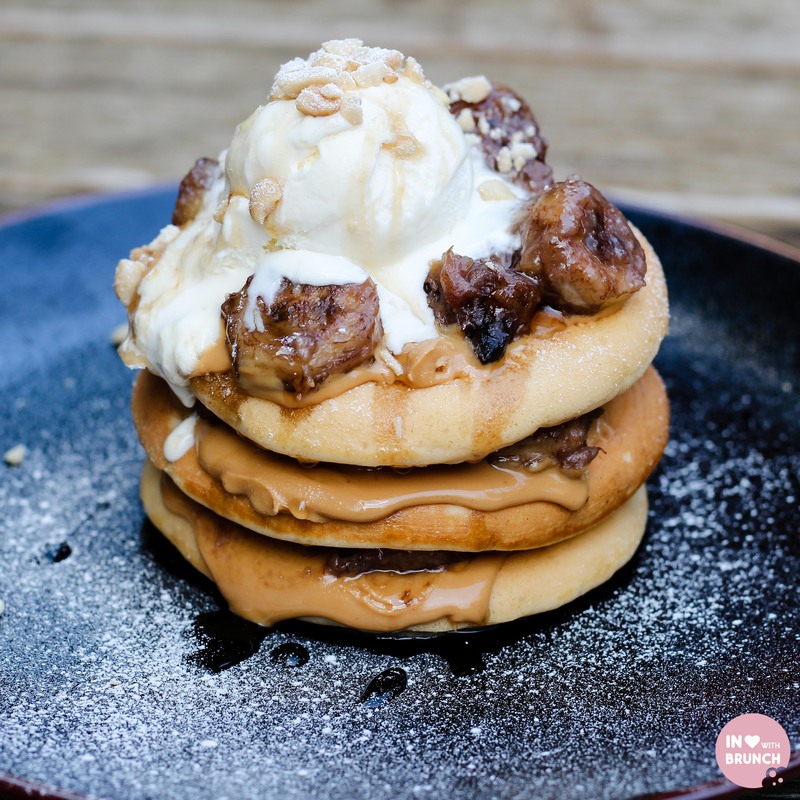 add in the gooey and nutty peanut butter with slightly caramelised bananas and the flavour combination on this stack was delicious! my only critique is that i could’ve done with a more generous pour of maple syrup over the top to avoid the drier edges of the pancakes. we were seated outside this particular morning (with charlie the golden retriever), so i can’t comment much on atmosphere of the interior. however, the outdoor seating area was spacious and fairly quiet given it is set down a side-street and not on the main bustling bridge road. the south-west aspect made it a bit chilly in the shade, however i’m sure this will be an asset on hot summer days. service was friendly and meals were served 1. hot; 2. quickly; and 3. correctly… which are always the critical factors with service. 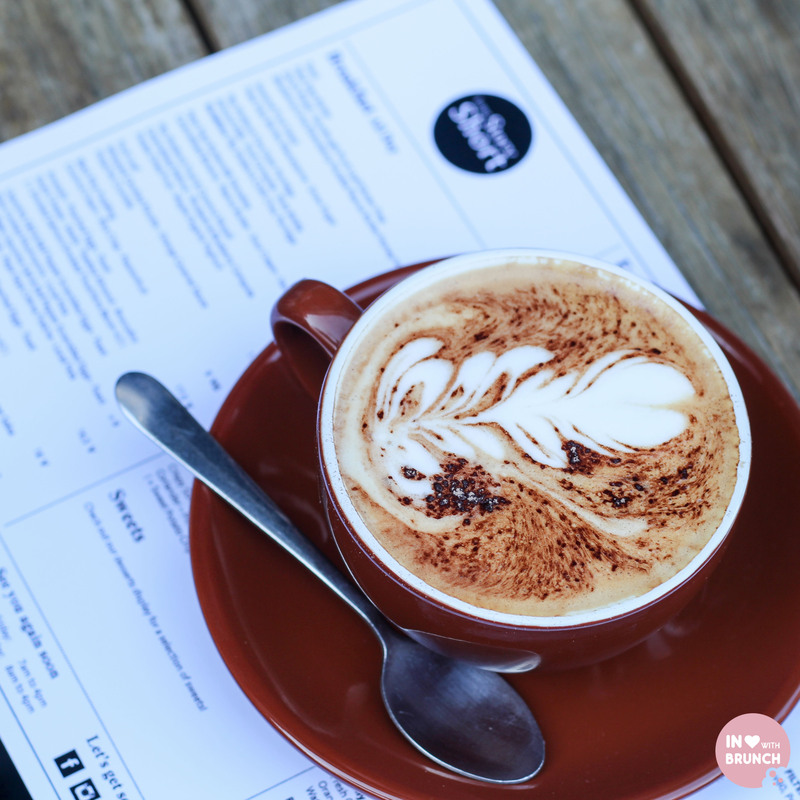 more and more, i’m becoming a fan of richmond and it’s great to have found another brunch venue in the area. a couple of areas (dishes) that could have been better… but i’m still wishing these guys a long and successful story.